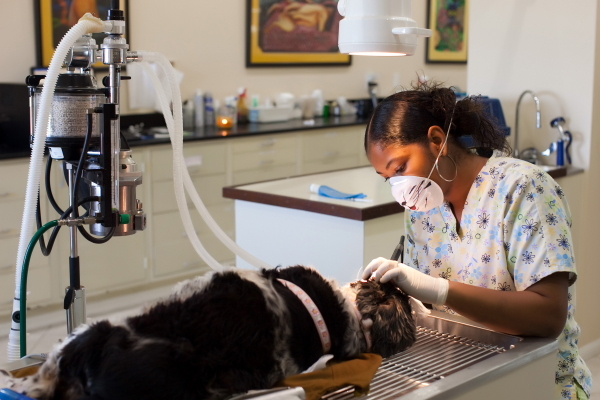 Dental Health plays a critical role in your pet’s overall health. We recommend regular dental cleanings as a part of preventative health care. At SMVC we use modern ultrasonic scaling and polishing equipment just like the human dentist. Because dogs and cats aren’t patient enough to say “AGHH” and sit still for twenty minutes, we do have to sedate them under general gas anesthesia for the procedure. 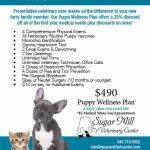 We recommend pre-anesthetic bloodwork for all pets over the age of 5 to screen for kidney/liver health. All patients are attended to by 2-3 staff members while under anesthesia, are on heating pads, EKG machine to monitor heartrate and respiration and a pulse oximeter. Dental procedures usually last 20 minutes or so unless there are dental extractions which need to be done. Clients are provided with before and after pictures of their pets teeth and complimentary samples of pet toothpaste, and a toothbrush at pickup. Professional dental cleaning is necessary to remove plaque and calculus(mineralized bacteria) from the teeth. Once the hardened plaque is removed clients can practice dental care at home to prevent future buildup. Dental disease and gingivitis (inflammation of the gums secondary to plaque buildup) has been linked with systemic diseases in dogs and cats such as kidney failure and heart disease.